Notice! Please note that this script is not available at present. A new version is in development and will be here soon. 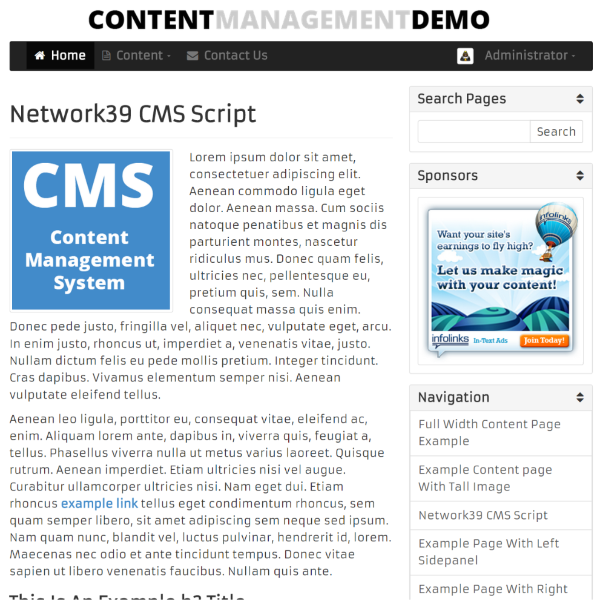 The Network39 Content Management Script is the perfect solution for those wanting to create a simple content management web-site or online business presence with a modern web 3.0 style. 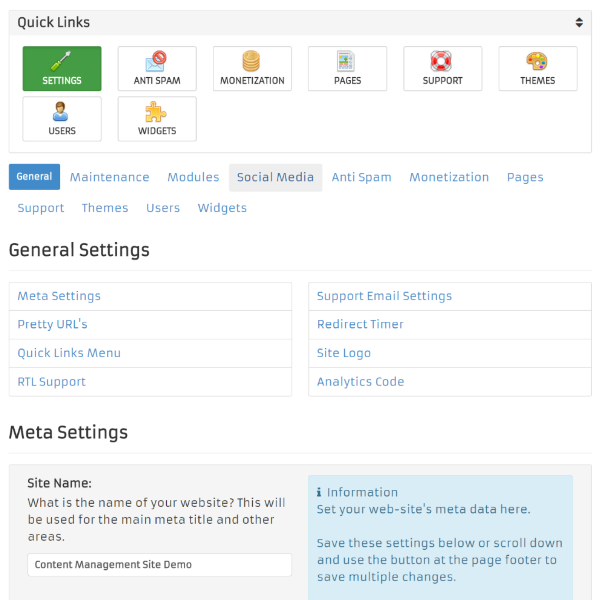 All your web-site's content management can be controlled via the administration control panel. 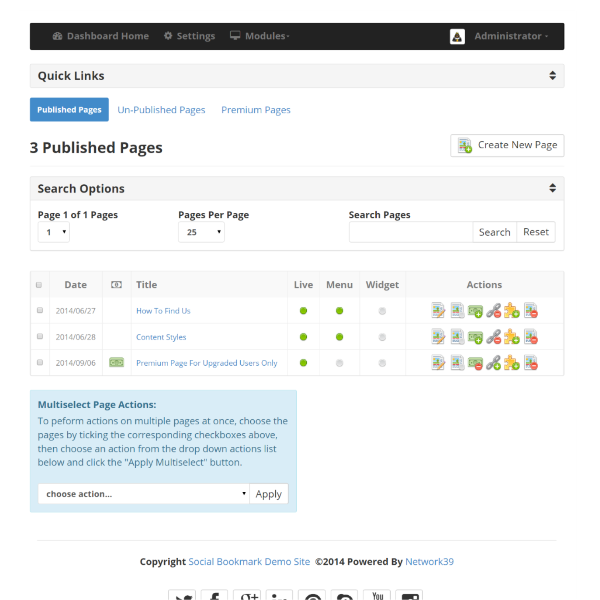 Create premium only content that is only accessible by upgraded web-site users. 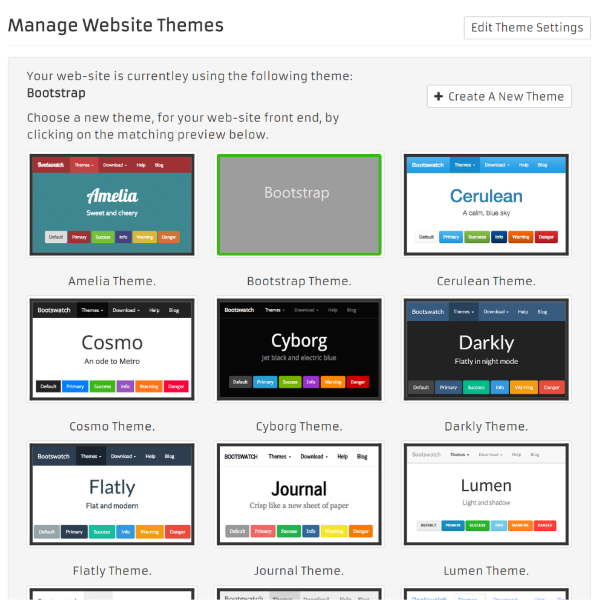 Easily build a modern CMS web-site, without any coding knowledge, in just a few minutes. 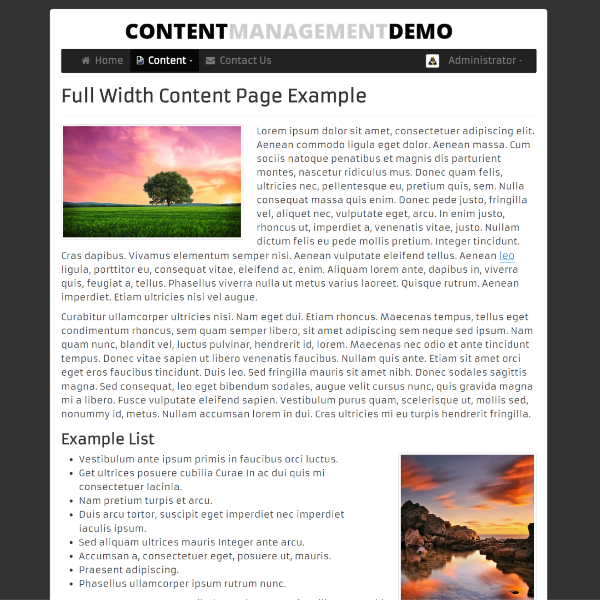 The content management script has been coded using the superb Bootstrap framework to ensure compatability with all screen sizes. 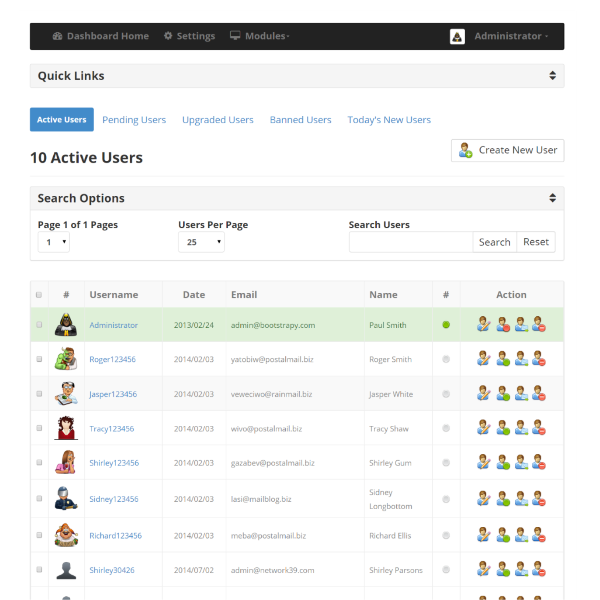 For the fastest database requests and the latest security we have utilized PHP Data Objects for all database connections. 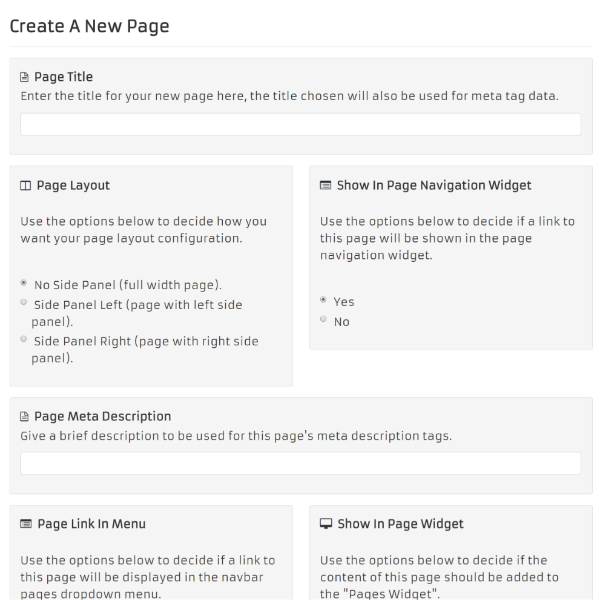 Click on any of the links below to view further details regarding that CMS script section. We feel that the only true way to test the CMS script, before you purchase, is to actually try it. This is why we always offer fully functioning demos for potential buyers to try before they buy. Use the orange buttons opposite, or below (depending on your screen size) to visit the CMS script demo as a visitor, author or site administrator. Feel free to have a really good look around! 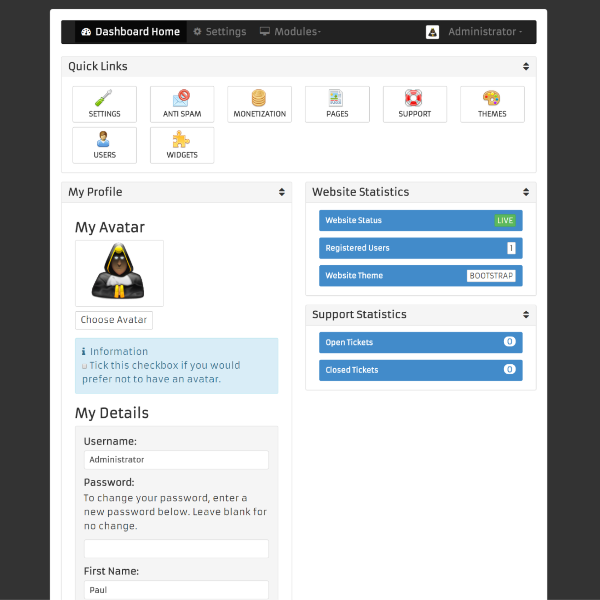 To test drive the Network39 CMS script, view as a visitor or administrator below. For security reasons the CMS script demo is reset every 15 minutes. Click on any of the image thumb-nails below to view a larger screen-shot. Click on any of the links below to view further details.